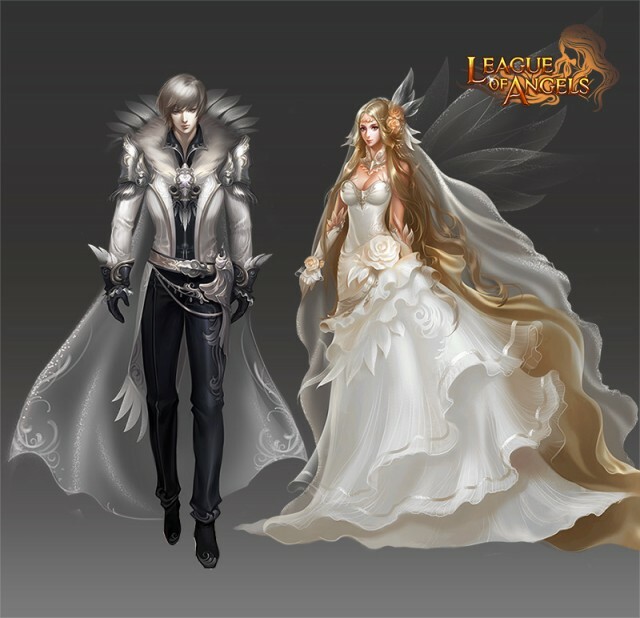 In light of Valentine's Day we are adding yet more content to League of Angels. Players that are lucky enough to have found their in-game soul mate will now be able to get hitched, while those who are less fortunate will still enjoy commanding the new Angel Amora obtained from partaking in the special Valentine's Day event. How to get: Synth using Wedding Garb Shards and Roses obtained from Wedding gift packs, Wheel of Luck and the Shop. Description: play Wheel of Luck, win Amora's Seal and Wedding Garb! Possible prizes: Gold, Aegis Shards, Roses, Amora's Seal Shards, Soulstones, Amora's Seal. Each day, the Top 10 Wheel of Luck players with at least 60 points will get extra Synth Scrolls and Advanced Gem Chests. At the end of the event, the Top 10 players with at least 500 will have a chance to get Aegis Shards, Wedding Garb, and Lvl. 6 Advanced Gem Chests. Roses are red, violets are blue, send roses to me and I'll be true! Description: send roses to your beloved and earn gifts for both of you! 3. Send Roses to your beloved to get great rewards for both of you! - Each day, the top 10 players who receive the most Roses and have at least 200 points will get Daily Ranking rewards; at the end of the event, the Top 10 players who have received the most Roses and have at least 1000 will have a chance get Charmer Flair and many other rewards. Description: log in every day and get Roses! Description: Cumulatively recharge certain amounts within 1 week to get roses and many other rewards!